Available only in Red. The Double Headed Eagle, the symbol and crest of the Romanov Dynasty, has two heads - one faces East and the other West. 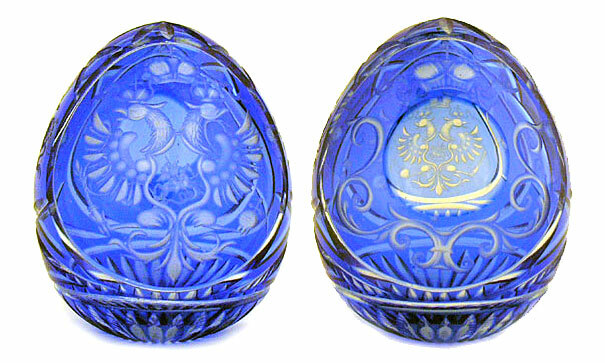 The picture shows both sides of this very special egg.